The St. Louis Metropolitan Area is fortunate to have many top notch hospitals, specialty health care centers and health care systems. Barnes-Jewish Hospital is the flagship hospital of the BJC HealthCare system created in 1993 when the then three separate hospitals, Barnes Hospital, Jewish Hospital and Christian Health Services agreed to form an affiliation. Barnes and Jewish Hospitals then merged to form one hospital in 1996. Barnes-Jewish Hospital is located in the Central West End Neighborhood of the City of St. Louis and has the added benefit of being the teaching hospital of the Washington University School of Medicine which one of the top three schools of medicine in the country. Barnes-Jewish has consistently been ranked as one of the best hospitals in the nation. It has been ranked as one of the top 10 hospitals in the nation in the areas of medical specialties including neurology and neurosurgery, cancer, Kidney disease (nephrology), orthopedics, urology and lung disease (pulmonology). The BJC Health System has 13 hospitals in the surrounding area and is the largest employer in Missouri with about 26,000 employees including those in Illinois as well. 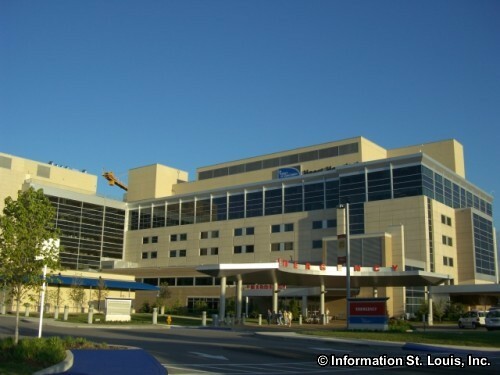 In the St. Louis area those BJC HealthCare Hospitals include Alton Memorial Hospital, Christian Hospital , Barnes-Jewish West County Hospital , Barnes-Jewish St. Peters Hospital , Progress West HealthCare Center, Missouri Baptist Medical Center, and Missouri Baptist Sullivan Hospital and two specialty centers, the Siteman Cancer Center and the Rehabilitation Institute of St. Louis. Barnes-Jewish also partners with the Mallinckrodt Institute of Radiology and the Goldfarb School of Nursing at Barnes-Jewish College which was established by Jewish Hospital in 1905. The St. Louis area has several premiere hospitals specializing in pediatric medicine. One of them, Cardinal Glennon Children's Medical Center , is a member of SSM Health Care and serves more than 200,000 children every year, from the tiniest newborns to adolescents with the Dan Dierdorf Emergency and Trauma Center and the Bob Costas Cancer Center and specially trained doctors and nurses.St. Louis Children's Hospital, a BJC HealthCare affiliates, is located on the Barnes-Jewish Hospital main campus. It has been specializing in pediatric medicine since 1879, being the first children's hospital west of the Mississippi River. Some of the medical pediatric specialties that St. Louis Children's provides are the Cleft Palate and Craniofacial Institute, a Psychiatry Center, a Cystic Fibrosis Center, a Burn Center, several transplant programs including bone marrow, kidney, liver, lung, and heart, Oncology, Sports Medicine program, Spina Bifida Clinic, Dermatology and much more. Shriners Hospital for Children provides expert pediatric medical care to children up to age 18 at no charge, specializing in pediatric orthopedics, burns and spinal cord injuries. Ranken Jordan Pediatric Specialty Hospital helps children from 2 weeks to 21 years of age who are in the in-between stage of their illness-too well to stay in the hospital, but still to sick to go home. Ranken Jordan specializes in treatments such as brain injuries, paralysis, orthopedic injuries, complications due to premature birth and burns. No one is turned away based on the inability to pay for treatment. 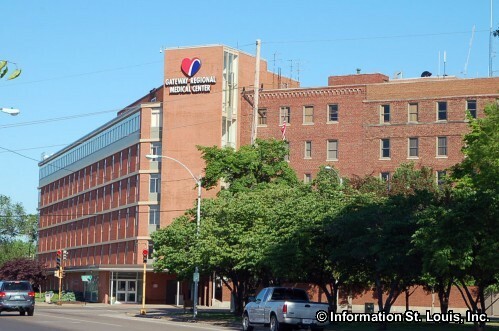 SSM HealthCare System is another large health care system having a total of 17 hospitals in the St. Louis area and three other states, Illinois, Wisconsin and Oklahoma. "SSM" is symbolic for the "Sisters of St. Mary" who began caring for the sick in St. Louis in 1872. The Sisters of St. Mary are now known as the Franciscan Sisters of Mary. 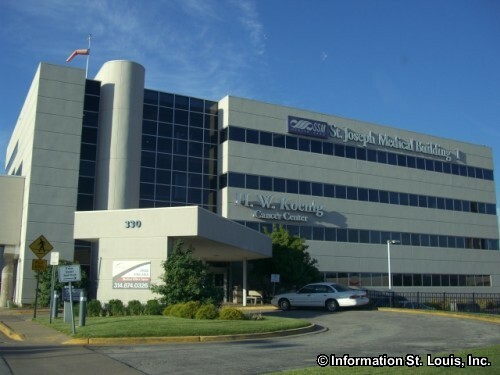 Seven hospitals that are members of SSM in the St. Louis area are DePaul Health Center in Bridgeton, the newly built St. Clare Health Center in Fenton, St. Joseph Health Center in St. Charles, St. Joseph Health Center in Wentzville , St. Joseph Hospital West in Lake Saint Louis, St. Mary's Health Center in Richmond Heights and the previously mentioned Cardinal Glennon Children's Medical Center in St. Louis. These SSM hospitals provide medical services such as Maternity Care, a Heart Institute, Cancer Care, Neurosciences Institute, Fetal Care Institute, Othopedics, the Center for Sleep Disorders, the Weight-Loss Institute and others. 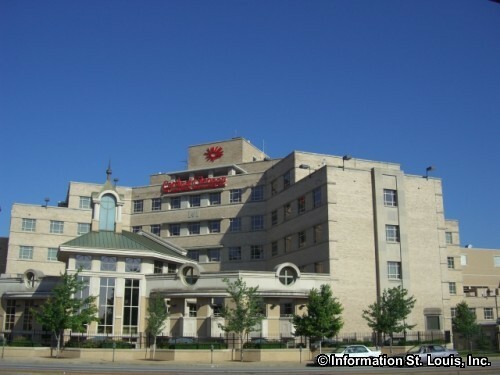 Mercy Hospital St. Louis is a member of the Sisters of Mercy Health System. So is Mercy Hospital Washington . In 2011, all affiliate health care providers of the Sisters of Mercy, took the simplified name of "Mercy" to unify, as well as identify those medical facilities that are in the system. Mercy Hospital St. Louis provides medical services such as the Women's and Children's Health Center, the David C. Pratt Cancer Center, the Heart and Vascular Hospital and is a fully accredited teaching hospital. Mercy Hospital Washington is a regional hospital and serves residents in the counties of Franklin, Gasconade, Crawford, St. Charles and Warren and is the only Level III Trauma Center in the region. Several individual hospitals that are not affiliated with the above health care systems are located in the surrounding counties, many of them serving as regional hospitals. 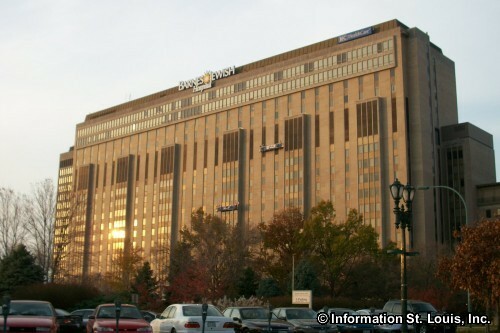 One of them is the third largest medical center in the St. Louis Metro area, St. Anthony's Medical Center, which is located in South St. Louis County. Medical specialties of St. Anthony's include orthopedics, oncology and cancer care, cardiology, and emergency medicine. St. Anthony's also operates four urgent care facilities in the south St. Louis County area. Another area hospital is Touchette Regional Hospital, located in Centreville Illinois is a regional hospital serving the metro-east communities of Alorton, Cahokia, Centreville, East St. Louis and Washington Park as well as the surrounding region. Des Peres Hospital in West St. Louis County is an acute care hospital that specializes in medical services including bariatrics, cardiology, emergency care and geriatrics. Gateway Regional Medical Center is located in Granite City and serves the surrounding communities as a short term hospital. Saint Louis University Hospital is the teaching hospital for the SLU and specializes in tertiary-quaternary (advanced and experimental) health care, organ transplants, digestive diseases, orthopedics and other medical services. 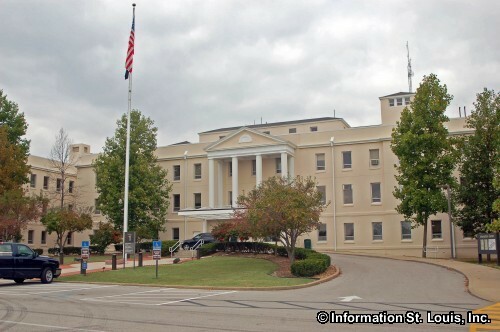 Other regional hospitals include Jefferson Regional Medical Center which is located in Crystal City and serves the counties of Jefferson, St. Francois, Ste. Genevieve and Washington Missouri; Lincoln County Medical Center in Troy Missouri; and Memorial Hospital in Belleville Illinois. Military Veterans in the Metro St. Louis Area are served by two medical facilities. One is the St. Louis VA Medical Center-Jefferson Barracks Division in South St. Louis County. The other is the St. Louis VA Medical Center-John Cochran Division located in St. Louis City in the Grand Center Neighborhood. With it's two divisions, the VA Medical Center provides health care to the region's veterans with over 65 specialty areas such as spinal cord injury treatment; rehabilitation services; psychiatric treatment; geriatric health care; ambulatory care; Military Sexual Trauma program; Substance Abuse Rehabilitation; Prosthetic Treatment Center; Agent Orange Program and many others. Here is a list of the medical facilities found in the Metro area.